After venturing through hours of the greenest landscape over several hills, we finally made it to Borbon, a small city in Northern Ecuador. 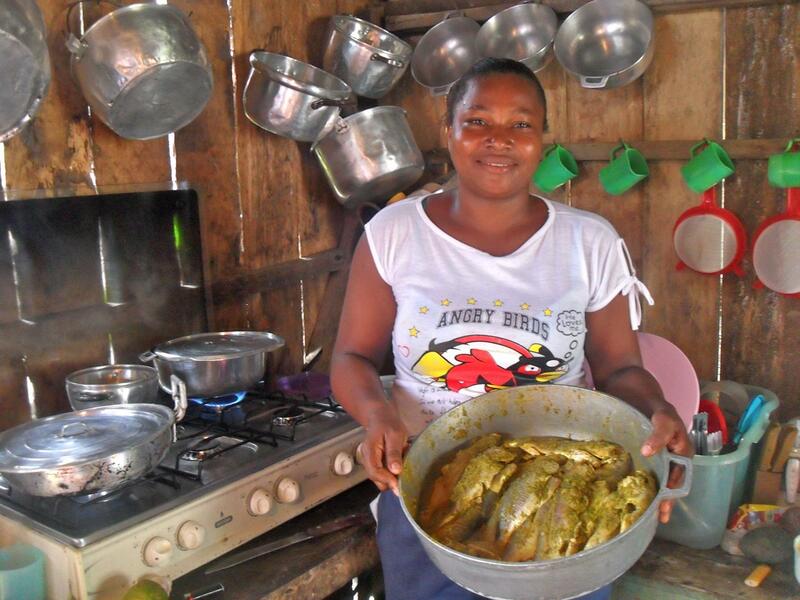 Our mission was to find Danni - a Kiva borrower. However, it wasn't as simple as one may think. First, we had to climb down a hill into an area of several homes. The loan officers forgot which direction her house was, so we asked a group of women where Danni was. After several wrong turns, we were at last in the home of Danni. When we walked in, we were greeted with a huge smile, along with the smell of heaven. This was the smell of Danni's cooking as she was preparing for her day's work selling food on the streets. Every day, she begins to cook in the early morning. By 3pm, she is ready to take all of her home-made food, moveable stove, chairs and other supplies up to the main street to sell. She has to carry each of these items up and down the steep hill every day. We conversed for about half an hour and she introduced me to her 2 children. I found her to be an extremely passionate and hardworking woman. After getting to know one another better, she finally gave me a sneak peek taste of her special sauce. It was a flavor I had never tasted before - pure deliciousness to say the least. I couldn't leave her home without knowing the special ingredients. 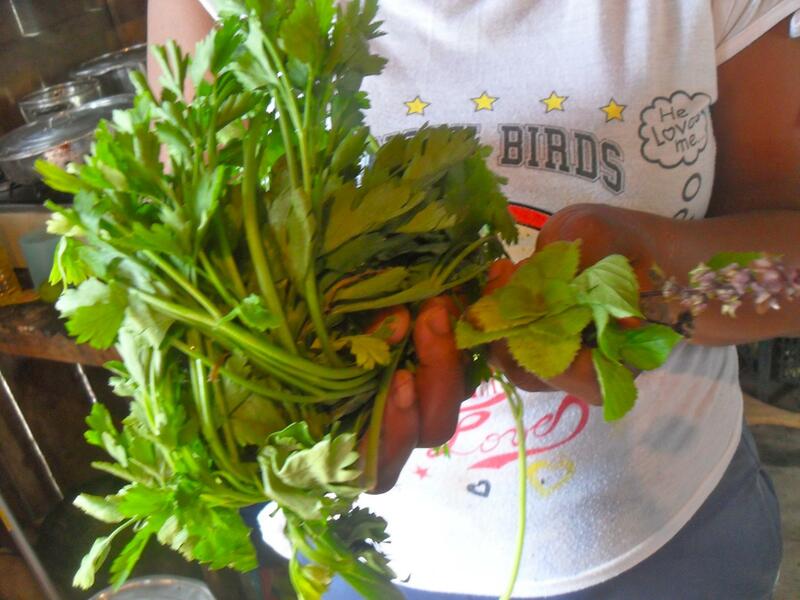 She eagerly gathered all of her ingredients and had me smell each one individually - lemon, oregano, chili sauce, garlic, celery, parsley, and 2 special herbs called chigarran and chiangua. After the sauce is made, she sprinkles salt and then pours it on fried fish, shrimp, chicken, as well as other foods. I thanked her tremendously for sharing her secret recipe with me. I asked Danni her dreams for the future. Not only would she like to own a bigger home to have more space for her children, but she would also like to have a roof for her business for when it rains, more chairs, and more gasoline for her stove. I told her that all of this is feasible and I have no doubt that she will accomplish this and much more! 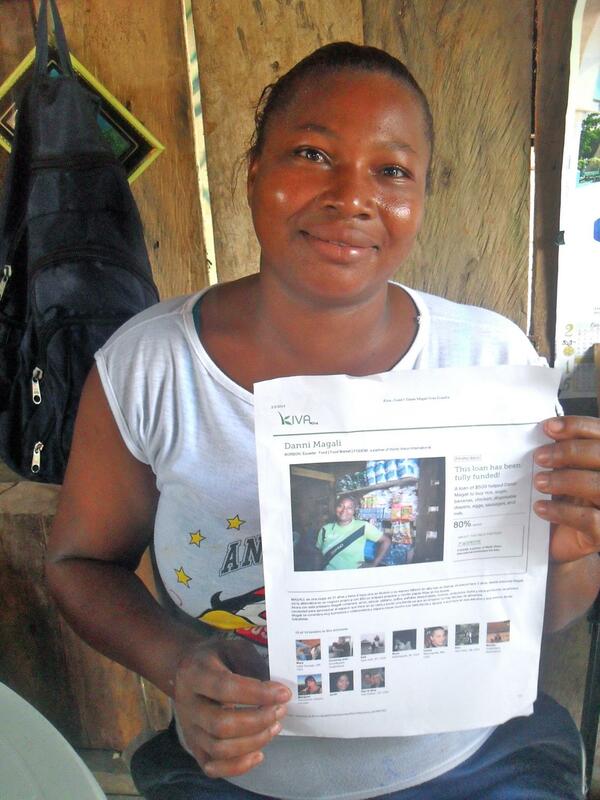 When I gave her the printout of her Kiva profile and showed her all of the people who invested in her, she immediately smiled. She said that she was going to frame it and hang it right next to her other framed portaits. I then asked her what she would like to say to all of her lenders, and she responded, "Thank you very much for your support and trust in me. I hope that you are proud of the work that I am doing. I only ask you to please don't close the door on me so that I can continue to move forward and offer my children a better future." It was in that moment that I truly realized the importance of what Kiva is doing - giving people like Danni an opportunity that they wouldn't otherwise have. Not only did Danni reveal her secret recipe to her food with me, but more importantly, she also shared with me her recipe to her own success created by both her passion to succeed coupled with a helping hand from Kiva lenders.